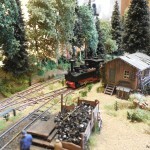 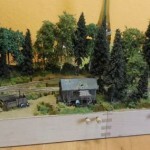 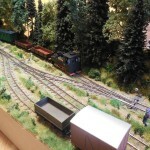 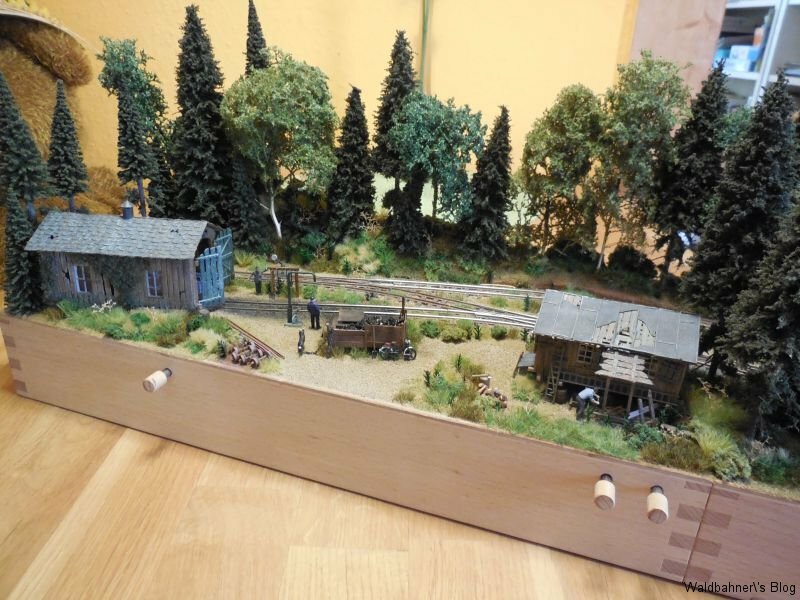 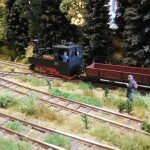 The first segment of my layout was the little backwoods station “Taubensuhl”. 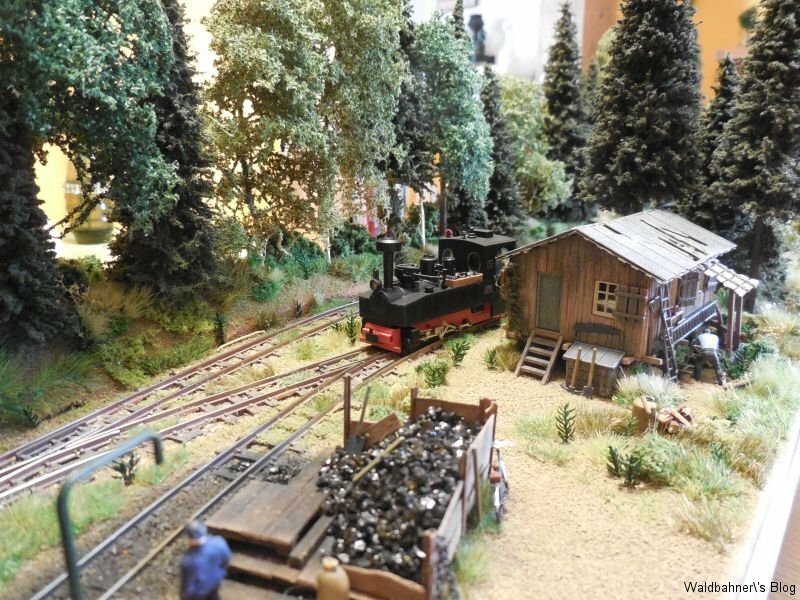 This little stations deep in the palatinate forest feature a run around spur for switching of by passing trains, some staging spurs and an engine shed with loco facilities. 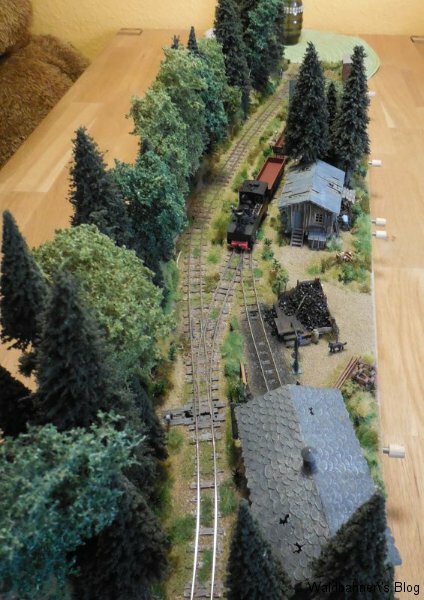 The little station can be used as terminus or run through station. 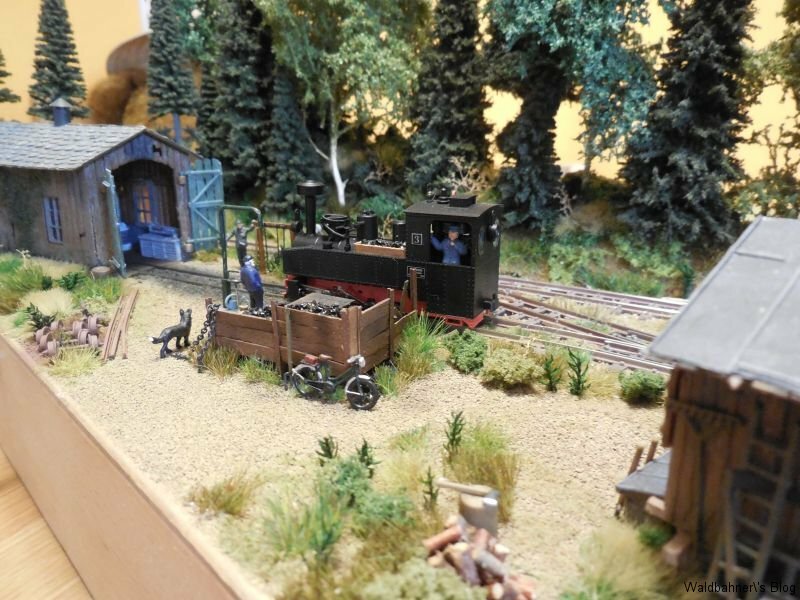 The shack comes from a Vollmer kit while the engine shed was made by Faller. 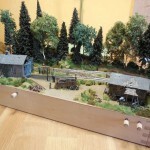 All structures got weathered before assembling. 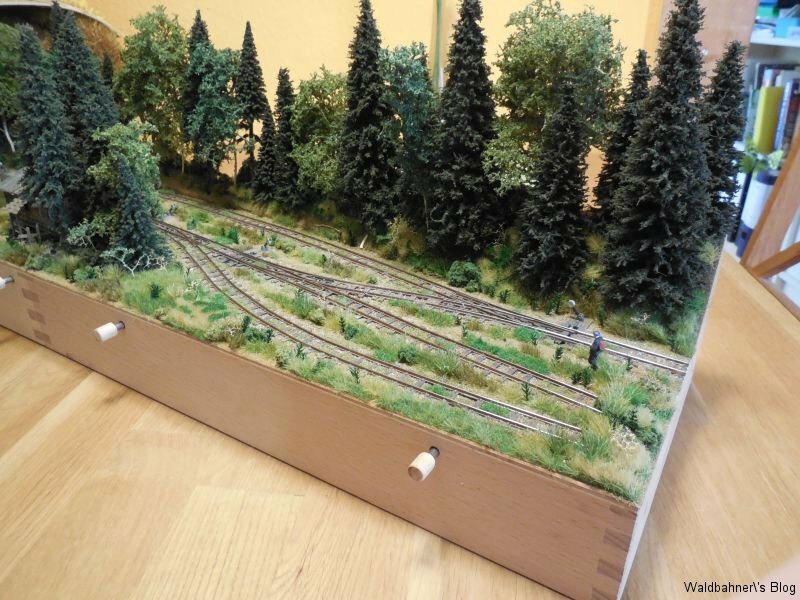 39 trees around the station will create a typical forest atmosphere. 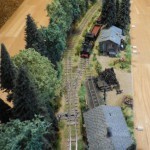 The segment was the first that I build, but it’s mostly used as the ending point. 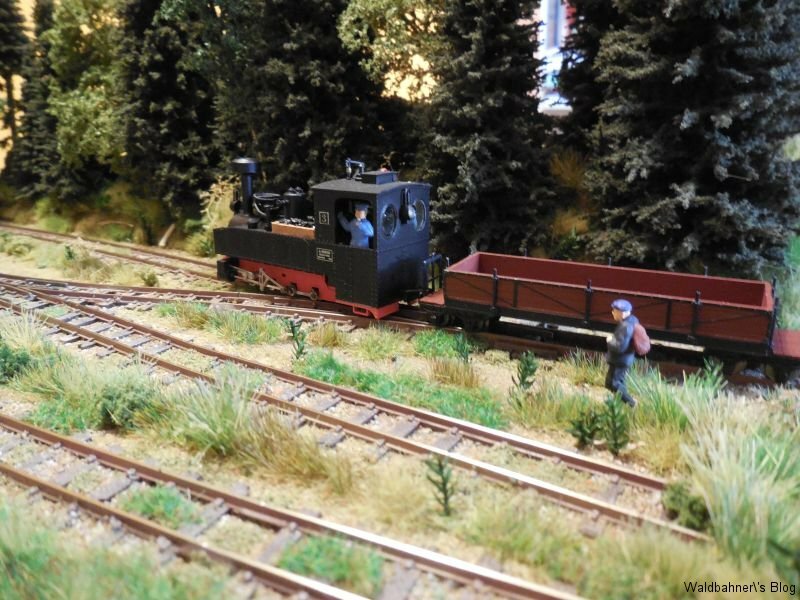 It can be used only between the large fiddle yard and the char coal ground due to the end types A & B.
Hallo, deine Anlage gefällt mir sehr gut. 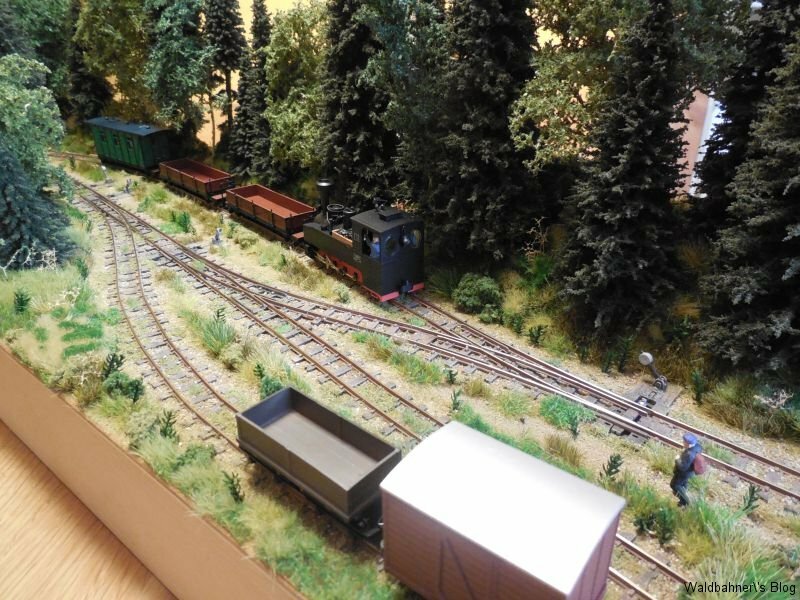 da ich die jetzt gerne nachbauen würde . 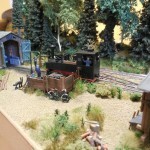 Really fantastic work your doing. 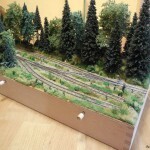 The trees look amazing, did you scratch build them or are they ready made?